Taken from an address given by Dr. Stringer to the Dean Burgon Society in Oak Creek, Wisconsin on July 10, 2008. "It is the author’s opinion that the Masoretic Text, the Received Text and the AV should be used in all missionary translation endeavors" (pg. 24). It would seem that this position would be without controversy among those believers who identify themselves as "King James Only" or as "Received Text Bible believers." Yet, many Bible colleges who advertise that they are "King James" do not teach their mission students anything similar to this. Most Independent Baptist missionaries use Bible translations that are very different from the King James text because the translations are based upon the Critical Text. Many Independent Baptist mission boards take a clear stand on the King James Bible when they are raising money. They require some sort of statement from their missionaries, that they are "King James Only." But the majority of these missionaries use Critical Text Bibles when they are on the mission field. What a strange situation. A number of major printing ministries aggressively identify themselves as "King James Only" when they are raising money to print Bibles around the world. They identify themselves as "King James" in their presentations in churches. But it is amazing how much of the money that they raise in "King James" churches is used to print Bibles that are based upon the Critical Text. These Bibles are based upon different original languages texts than the ones the King James Bible are based upon. They often contradict the King James Bible in important passages. They are paid for by the sacrificial gifts of King James supporting churches but they undermine the message of the King James Bible. How sad! In our opening Scripture passage, David is discussing the Scriptures. Under the inspiration of the Holy Spirit he declares that he is not ashamed of his hope. He is not ashamed of the pure Word of God. It would seem that many of our Independent Baptists are ashamed of the hope that they claim to believe in. If we are going to obey God’s command for world evangelism, we need three things. Obviously, we need the Gospel. This has already been provided for us by the Lord Jesus Christ. We can share with anybody from anywhere that the Gospel of the Lord Jesus Christ is for them. I have the privilege of pastoring in one of the most multi-cultured neighborhoods in the world. The local officials say that we have people born in 160 countries living in Ravenswood (our neighborhood in Chicago). We have people from 26 countries in our church. It is my great joy to be able to look at anybody from any country, any religious background, any culture, any background and say to them, "Jesus Christ died for you, paid the penalty for your sins, died for you on the Cross." We already have the gospel. However, in order to be obedient to the Great Commission around the world, we need two other things. We need local churches and we need the Bible. We have to teach people the gospel of Christ, see people, trust Christ and get baptized. Then we have to train them to observe all things in obedience to Him. This training process requires a Bible and a local church. Thankfully, there has been an explosion of local church planting around the world. My heart absolutely rejoices in this. However, along with the local church, people need a Bible. You cannot teach people "to observe all things whatsoever is commanded of them" if they only have some of the Bible. You cannot teach them everything they need to know if they think they have a whole Bible but they do not. You must put the whole Bible in front of them. I would like to present a couple of examples to illustrate the problem that we are facing today. Let me be very clear. I am not talking about the modernists. Nobody expects them to be concerned about a good text of the Word of God. I am not talking about the neo-evangelicals! No one expects them to be concerned with the Received Text. I am talking about the problem that Independent Baptists face. Let me give you a couple of illustrations. The first comes from the book, Sedition in Missions, written by Michael D. McCubbins, published in 1996. The author describes the reasons he left one of the well-known Independent Baptist mission boards, A.B.W.E. In chapter 6, the debate is all about the text of Scripture. The A.B.W.E. was very concerned about the Bible in the Bengali language. The Baptist churches were using a Bible translation translated by William Carey, the father of modern missions. This translation was from the Received Text. The leaders of A.B.W.E. didn’t believe that God could use such a Bible. They made arrangements for a lady Bible translator, Dr. Lynn Silvervale, to translate a new and improved Bible. This Bible would be translated from the Critical Text using dynamic equivalency. This was done in connection with the United Bible Societies. In 1981, the Board of Grand Rapids Baptist College and Seminary granted Dr. Silvervale an honorary doctorate for her translation work. There was also a problem in the A.B.W.E. over the Russian Bible. They abandoned the Received Text Russian Bible for one translated by Pentecostals from the Critical Text. Missionary McCubbins wondered why A.B.W.E. couldn’t take a clear stand on the traditional text of Scripture and on clear conservative translation methods. He was shocked to find out what was happening in Independent Baptist circles. The second example hits closer to home for me. For 9 ½ years I had the privilege of being the administrator of the Landmark Baptist College in Haines City, Florida. This was one of the great joys and blessings of my life. While I was there we started a Spanish department in our college. I confess that it was my idea. We hired full-time Spanish speaking staff and arranged for visiting professors from the Spanish speaking world. All the classes were taught in Spanish. We had a good number of students the first year and an even better number of students the second year. It seemed like everything was going great. However, we kept hearing things from Hispanic preachers that concerned us. They would say things like, "We know Bro. Carter’s stand on the King James Bible, we know your stand on the King James Bible. Why are you using a Spanish Bible that contradicts the one that you are using in English?" We began to ask our Spanish speaking staff about all of this. They kept assuring us everything was all right. The Bible they were using was the Spanish King James Bible. It was exactly the same in Spanish as the King James was in English. The first time that we got that question we simply believed the staff. We did the same the second time. But after awhile, the questions really began to add up. Finally, Pastor Mickey Carter and I sat down with our Hispanic staff to talk all this out.—more about that conversation later. We discovered that, yes indeed, we were using a Bible in Spanish that contradicted the Bible that we were using in English. We were using a Bible which had the Critical Text as its final authority. We were using a Spanish Bible translated under the authority of Eugene Nida and translated based upon translation principles that he taught. Recently, I have read about Bible believers in Romania who asked why no one seemed concerned that they have a Received Text Bible. They admitted that they were in the minority position. Those who hold to the truth of God’s preservation of His inspired words in the Received Text always are. But they wanted to know why no one spoke for them. Not even the organization that supposedly exists for the sole purpose of seeing to it that the whole world has the Received Text. Shouldn’t someone be speaking for the faithful Bible believers who believe what the Bible says about preservation. I thought that was a pretty good question. How did we get to this place? Why do we have so many people who recommend, use and honor the King James Bible in English but who use translations based on completely different principles around the world? There are several reasons why we have this problem. The first is simply ignorance. Most of our Bible colleges do not explain this issue at all during their training. I must confess that I went through four years of Bible college without understanding this issue at all. I went to Bible college for four years and graduated with relatively good grades without knowing that there was even an issue or debate about Greek texts. I did not know anything about modernist Bible societies. I had never been taught a word about Bible translation methods. Now to be fair to the college that I graduated from, Indiana Baptist College, it was later turned into a good Received Text school by Dr. Clinton Branine. At the time I attended there, you could graduate from there and not know any of the issues—I did graduate from there and not know any of the issues. I suspect that this is true with many Bible colleges today. Even many of the schools that promote the King James Bible in English avoid the issue in other languages. They hide behind the cop-out that people that use that particular language must decide. A majority vote will not turn a corrupt base text into a good one. Popular approval won’t turn bad translation methods into good ones. There are other reasons. There are people who support the Critical Text but they hide this when dealing with American churches. Churches that openly use the Critical Text are not where they get their money. In front of an American audience they are King James Bible and Received Text around the world advocates. When they think they can get away with it, they purposely promote the Critical Text! God cannot bless that kind of duplicity. I discovered this the hard way. When we had our issue over the Spanish Bible at Landmark, we addressed several specific verses. We compared these verses to the Revised Standard Version in English. They matched almost exactly. We could have used the American Standard Version or even the New World Translation of the Jehovah’s Witnesses. One of our visiting professors tried to straighten us out. He photocopied thirty pages from commentaries and mailed them to us. Each of these commentaries explained why the wording of these verses in the King James Bible was wrong. (I still have this mailing.) The King James Bible was based upon inferior manuscripts, according to these quotes. The updated readings that matched his Spanish Bible were based upon older and better manuscripts. This pastor heads up a prominent printing ministry in Mexico. He preaches all over the U.S. in large Independent Baptist King James only churches. These churches sacrificially send him large amounts of money so that he can print Critical Text Bibles in Spanish (and pay royalties to a modernist Bible Society). Here is another reason that there is such confusion. The heresy of concept inspiration has infiltrated Independent Baptist circles more than most of us realized. People who believe in concept inspiration believe that it is the meaning (or ideas, or doctrine) that is inspired by God not the words. Now, you have quite a lot of flexibility if you are not bound to the words. For example, Calvin George published a book defending a Critical Text Spanish Bible. It is entitled the Battle for the Spanish Bible. This was published right before our debate at Landmark but it addressed many of the same issues. He addressed verses that differed dramatically from the King James Bible. He tried to give all of them a conservative spin. Twenty-seven times he wrote, "The words are different but the meaning is the same." He never pointed out that the words were the same as the Revised Standard Version, but they were. I would criticize his comments as teaching concept inspiration. His response was that he was a graduate of two well-respected Independent Baptist colleges and that what he wrote was consistent with what he was taught there. He further stated that his book was read and approved before publication by several professors from the college he had just received his master’s degree from (one of the largest and most respected in fundamental Baptist circles). To be honest with you, I did not believe him. As time went on, I began to quiz graduates of both schools. Were they taught verbal inspiration or concept inspiration? Some from both schools said they were taught verbal inspiration. Some graduates from both schools claimed that they had been taught concept inspiration. I cannot explain the confusion. I saw this heretical doctrine in our discussion at Landmark. Pastor Mickey Carter and I sat down with the Hispanic staff (at my request). We had staff devoted to holding services in Spanish on the church staff. We had college staff assigned to our Hispanic department of the college. We met with both. Pastor Carter spent about an hour explaining the problem that we had. I was quiet. There was no need for me to say anything. Finally, one of our college staff burst out, "Pastor, don’t you understand it is not the words that are inspired anyway, it’s the meaning." I said, "What did you say?" The leader of the church Spanish program spoke up and said, "That’s right. It is not the words that are inspired anyway." Now the position of our church and college was well known. We were clear on our faith in the King James Bible. We were clear on our position on the Received Text. We were clear on our position on verbal inspiration. Pastor Carter had spoken widely and wisely on all of those issues. I had done what I could in addressing them. How did such people get on our staff? Everyone had been asked questions about the Bible before they were hired. Today, we know how to better ask those questions. These staff had hidden their positions on the textual issue and on doctrine in order to get the situation they wanted at Landmark. Both of these men would later claim that this was what they were taught at the prominent Baptist colleges that they attended. I would later quiz graduates of these colleges about this and again I got mixed answers. These men were not neo-evangelicals or modernists. They were prominent Independent Baptists. They realized they had let the "cat out of the bag." They saw our shock at their statements and they knew they were in trouble if their positions became understood in Independent Baptist circles. They immediately invented the story that Pastor Carter and I were expelling all the Hispanic students from the college. They claimed that the Spanish speaking people were being kicked out of the church. They organized meetings with Hispanic members and lied to them. They organized meetings with the Spanish students and told them that they were expelled. Not a word of that was true. No such thing was ever planned or discussed. They had to create a false issue out of race. One of the men involved still draws support from Independent Baptist churches as a missionary to Mexico (even though he doesn’t minister in Mexico). The other one took most of our Hispanic students and staff and went to another Independent Baptist college. This college advertises that it is a King James school. However, they continue to give this preacher a base from which to attack the King James Bible (to Spanish audiences), to stand for the Critical Text and to teach concept inspiration. The same man also holds prominent conferences in the Spanish speaking world. These conferences are largely financed by the sacrificial giving of Independent Baptist King James only churches. In the same conversation, we tried to make an issue out of the modernist Bible translator, Eugene Nida. This same leader told us that the King James translators were "evil and wicked men, unsaved men." He later said that Eugene Nida was a "gracious Christian gentleman and scholar." We had better get a hold on this. This issue of inspiration and the doctrines that derive from it are huge. Verbal, Plenary Inspiration is a fundamental doctrine. So is a belief in Verbal Plenary Preservation. These doctrines demand a belief in Verbal, Plenary Translation. Critical Text advocates call everyone who believes in these doctrines a "Ruckmanite." I know that many of you are very concerned about being called a Ruckmanite. I would be too, if that meant that I believed a doctrine invented by Peter Ruckman. However, the definition of a "Ruckmanite" has changed. Today, a "Ruckmanite" is anyone who is winning an argument with a Critical Text supporter. We had better get used to being called some names. "For it behooves a translation of Scripture not merely to take care that you do not corrupt the meaning but also as far as is at all possible not to depart a hand’s breadth from the words since many things lie under the cover in the words of the Holy Spirit which are not immediately perceived but yet contains important instruction" (Disputations on the Holy Scripture, p. 165). You cannot interpret the Bible for everybody, you must translate it. How many times have you taught a passage of Scripture as completely and exhaustively as you can, only to discover blessed truths years later. It is the words that are inspired not just the meaning. Thomas Armitage would write in the History of Baptists about William Carey and his helpers, "From the beginning, Baptist missionaries were faithful to the principles of translating into the heathen languages every word of the New Testament Greek for which they could find equivalence. Common honesty required this to say nothing of responsibility to God. And they made no concealment of their action but widely avowed it in their official imprints on letters" (p. 586, 1887 edition). It is not very honest to interpret the Bible for people and tell them you did a translation. Michael McCubbins wrote this about the battle in the A.B.W.E. "Those men who wrote the scriptures were the writers, not the Author. Plenary, verbal inspiration adherents believe God is the author of Scripture. We are asked by Dr. Silvervale to believe that meaning is the important thing to translate, but God said the important thing is words. Not meaning. Illumination is the work of the Holy Spirit, not the translator. God will preserve the words. We do not believe in meaning inspiration as Silvervale prefers, but in verbal inspiration. If we believe in plenary-verbal inspiration and believe in plenary-verbal preservation, then we must believe in plenary, verbal translation" (Sedition in Missions, p. 84). The book , God’s Secretaries, is a very secular book written on the history of the King James Bible. As the King James Bible’s 400th Anniversary comes up (2011) you are going to see a number of such books. The King James Bible has great historical and literary influence. It means much more to many of us but you cannot deny its historical influence, you cannot deny its literary influence. Adam Nicholson (not to my knowledge a believer) wrote this: "The King James translators do exactly what Luther had described as absurd. They mimic precisely the form of the original. No searching for the language of mothers or of the man at the market stall. They acted in other words as God’s Secretaries" (p. 195). That indeed should be the goal of all Bible translators—to act as God’s secretaries. We should reproduce the words that God gave. These are pure words. My dear friend, Dr. Williams, who I admire so much, and I are having a little debate over whether or not we should use the word pure for accurate translated words. It is a gentleman’s debate. He is a gentleman by nature and I am working on being one. I believe that accurately translated words are pure words. It is the responsibility of the Holy Spirit to work in the hearts of the readers and help them to understand the meaning. Another reason we have such an issue is pride. The world admires the Critical Text. The non-Christian world does. Our brother spoke a few years ago and mentioned it again today, about how much the Moslem world admires the Critical Text. Madam Blavatsky, who founded Theosophy, admired the Critical Text. Charles Taze Russell, who founded the Jehovah’s Witness, admired it. If you want to be considered "scholarly" by unsaved religious leaders you had better admire it too. The same lost religious leaders admire dynamic equivalency. They have had to change the name for it several times, but they admire the idea of making the translator the final authority instead of recognizing the words that God gave as the final authority. If you want to be considered scholarly by the unsaved religious world, you had better admire dynamic equivalency too. Bible college leaders and professors are especially vulnerable to this temptation. Who wants to be mocked by those that the world considers your peers? Faith and sound doctrine will never be considered "scholarly" by unsaved people. Let me make this clear—A bad translation from a good text shows more genuine scholarship than a good translation from a bad text. At least the translator knew enough doctrine and history to understand where he should start. Let me tell you what has happened to many of the Hispanic preachers in the Independent Baptist sphere. Many of these people were very influenced by the ministry of Dr. Jack Hyles. He used a number of clichés to describe his loyalty to the King James Bible. By the grace of God, these clichés represented sound doctrine. Many people repeated them. I’m not sure that many of the people who repeated them understood why they were true but they were true. Many of the Spanish brethren simply repeated these same clichés about their Critical Text based Spanish Bible. They had no idea what they were saying, but it sounded good. As one of them admitted to me, "If I admit our Bible is not the infallible, inerrant Word of God (he was talking about the Critical Text Spanish Bible), I have to apologize for my last, thirty-six years of preaching." But his preaching had been wrong. Pride makes people hold to positions that they know are wrong. Pride makes people demonize anyone who tries to discuss the truth. The issue is the truth—not our pride. Another issue is cowardice. Many people start to stand for the truth but when they realize how much criticism they will take—they back up. When they realize that those who are embarrassed by the truth will publicly attack them, demonize them, and try to destroy them, they change their position. They become neutral or change sides. But, how can someone be a man of God and afraid of men at the same time? When we were first dealing with this issue at Landmark Baptist College, Dr. Carter asked me to call a well-known leader in Independent Baptist circles. This man was considered a King James Bible defender and was well-known for promoting the printing of the Received Text around the world. We wanted his perspective on our situation. I called him and got him a plane ticket to fly to Central Florida. I picked him up in Orlando and drove him for an hour to our campus in Haines City. I talked to him about the issue during the whole trip. Dr. Carter and I talked to him for five hours. The next morning I drove him back to the airport and talked to him for another hour. We were not discussing what to do but when and how to do it. Doctrine was not debatable, but we were discussing timing and strategy. This leader insisted that we must make our move now. He hammered that at us—that we must move now! He promised to support us. We moved right away! A few weeks later he met with several Hispanic Independent Baptist leaders in Mexico. These leaders can be particularly aggressive and vicious in trying to destroy anyone who disagrees with them. We soon received a letter from this leader saying that he had switched sides. He had to abandon the issue of the purity of text for the sake of world evangelism (I still have a copy of the letter). Now, the same man, in connection with a large, prominent Independent Baptist college, is trying to establish a committee to instruct the Independent Baptist world on Bible translation. He once stood for Received Text Bibles around the world. Now he stands for Received Text Bibles in some languages and Critical Text Bibles in other languages. He wants to lecture the Independent Baptist World on Bible translation. God spare us from such leadership as this. One of the statements that I have heard Mickey Carter say several times is this, "It’s not just what a preacher says that tells you what kind of man he is, it’s what he is afraid to say." By the grace of God, as many of you here know, God has raised up Dr. Humberto Gomez to provide a Received Text Bible in Spanish. Many people have worked with him. I admire them all. Without apology, the King James Bible is one of the sources for the Reina Valera Gomez along with older Spanish Bibles and the Hebrew Masoretic text and the Greek Textus Receptus. In October of 2006, Dr. H. D. Williams, Dr. Rex Cobb, Dr. D. A. Waite, Dr. Steve Zeinner, Dr. Humberto Gomez and I spent eight hours with a Bible printing ministry. This is probably the most influential printing ministry in Independent Baptist circles. This meeting resulted in a decision to print the Reina Valera Gomez. Around the Hispanic world, Bible believers are begging for the Reina Valera Gomez. It is impossible to keep up with the demand, so this was a great step forward. After printing one edition, this publisher quickly abandoned the RVG. They were under great criticism. Men like Calvin George, Jeff McCardle and Victor Paetz criticized the RVG for being similar to the King James Bible. I wonder if the financial supporters of this ministry know that it is frightened to print a Bible that is the same as the King James Bible. The critics of the RVG are not ashamed of using Spanish Bibles that read exactly like the Jehovah’s Witness, New World Translation. However, the King James Bible infuriates them. I wonder why? My successor at Landmark Baptist College, Dr. Charles Brown wrote an article about the psychological effect that the King James Bible has on some people. They are not afraid of any English Bible, but the King James Bible. He wrote, "I would pose a possible answer. Maybe the King James Bible reminds people of the ‘old time religion.’ It presents a holy God, sinful man, salvation by grace, through faith, not of works and results in the commanded holy life of the believer. None of these concepts are particularly popular today. Many modern day Christians like their theology buffet-style where they can pick and choose what they believe" (Landmark Anchor, September 2004). Amen. Thankfully, there are printers more loyal to the Received Text than the one I referred to before. Thankfully, there are printers who are not ashamed of the King James Bible. Thankfully, there are braver printers. The RVG continues to be printed in response to the great demand. Money is a huge issue in all this discussion. People ask, "Will standing for the truth cost me support?" "Will it result in criticism?" "Will it cause people to misunderstand what I am doing?" Let me say clearly that the answer to all these questions is, yes. If you take a clear stand for a Received Text Bible in any language of the world, you will face vicious criticism and slanderous, dishonest personal attacks. The truth always demands such a price tag. I want to talk about the solution to this problem. First, we have to aggressively teach Verbal, Plenary Inspiration to our young people. Some would say that it is a shame that Bible colleges don’t get this right and that they deceive our young people. But we should teach this so clearly that our young people can tell when they are being misled. I think it is a terrible shame when young people grow up under our ministries and go off to Bible college and do not recognize it when they are taught wrong. We must teach Verbal, Plenary Inspiration at every level of our ministry. We must teach that Verbal Plenary Inspiration demands Verbal, Plenary Preservation. We must teach that Verbal, Plenary Preservation demands Verbal Plenary Translation. Verbal, Plenary Translation is a greatly neglected doctrine. But it is vital. It is a common figure of speech to refer to an expert as "Someone, who wrote the book on the subject." Well, my friend Dr. H. D. Williams really did. The only good book on the subject that I am aware of is, Word for Word Translating of the Received Text, Verbal Plenary Translating by Dr. H. D. Williams. All of our Bible college professors should read this. All of our Bible college presidents should read it. It should be in all of our Bible college libraries. This is a huge issue. We can no longer relax and trust modernist, Bible societies to tell our missionaries what Bible to use. The principle is clear! We would not let a modernist preach in our pulpits. We would not let a modernist teach in our colleges. Why should we let a modernist translate the Bible for us? For me, this is a no-brainer. Secondly, we must start demanding something from our Bible colleges. We had better start asking our Bible colleges specific questions about what they teach on these issues. We had better ask more than just what Bible they use in English. What do they teach about the Bible in other languages? There are more Independent Baptist Colleges than we can possibly support. Maybe we should support the schools that teach the same things about the Bible that we do. 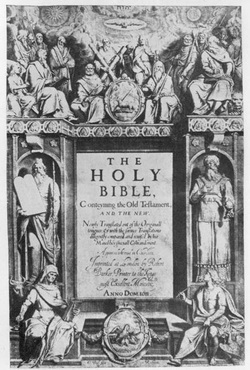 Schools that teach the King James Bible is God’s preserved Word in English, schools that teach that the Received Text should be the base text for Bible translations around the world. Thirdly, we should start asking questions of our missionary candidates. There are more missionary candidates then we can support. I get several calls each week. I have to turn most of these people down. I have to turn down good people. The hardest thing I ever do as a pastor is turn a Landmark Baptist College graduate looking for support down. There are more missionaries than we can support. Do you think it is about time we start asking missionaries what they believe about the Bible? If they are going to minister in Japanese, or Swahili or Romanian or Russian, let’s quit asking them what they believe about the King James Bible. Let’s start asking them what they believe about the Bible in the language they will minister in. I am aware that many of these languages don’t have a good Bible available. But it certainly ought to be the burden of their heart to get one. Maybe God did not call them to be a translator. That is not the ministry for everyone. But certainly they should support those who are trying to provide a good Received Text Bible in their language. Maybe we need to send this message, "If you want our mission dollars, we had better be able to trust you on the subject of the Bible." Fourthly, we need to start challenging printing ministries! We receive wonderful letters pleading for money to print Bibles. They are needed so desperately. We all know that people need the Bible desperately. We should start asking some questions! Where did their Bible translation come from? Can we trust your ministry to print only Received Text Bibles? The modernist Bible societies will print all the Critical Text Bibles anyone can use. They will do it cheaper than Baptist printing ministries can. We should print the ones we can trust. We are very burdened as a church about this. We invest several thousand dollars a year in foreign Bibles. But I have not spent one penny on a Bible that I did not know where it came from. I no longer will send any money to a printing ministry that is not committed to printing only Received Text Bibles. You see, the other crowd is very aggressive. They are always calling Received Text Bible believers "divisive." When anyone threatens the "status quo" they go on the attack. All the pressure is being put on by their side. Maybe it is time for our side to put some pressure on. We are Independent Baptists. We don’t have to support any particular college. Let’s support the ones we agree with the most! Let’s find out what the colleges teach. Let’s know more than what they say in their ads. Let’s be brave enough to ask questions. Maybe we should quit paying for the things that we don’t believe in. The very aggressive Critical Text crowd in Independent Baptist circles has one huge weakness. They are totally dependent upon money from King James Bible believing Received Text Baptists to function. That is why they hide what they believe instead of advertising it. That is why they try to avoid discussion of important issues. Some of them are prominent. Some are well known. Some of them are very aggressive. They all have a weakness. If they had to go to the churches that actually agree with them for money—they couldn’t get it. If they had to go to churches that actually believe what they believe to recruit students—they couldn’t recruit them. If they honestly asked the people in our churches to give sacrificially to print a Spanish, or a Romanian, or a Swahili or a Russian or a Chinese version of the Revised Standard Version—can you imagine what the response of the people in our Independent Baptist churches would be. They have a fundamental weakness. They depend upon us for money. They depend upon us to be quiet. They depend upon us to be nice guys. They count upon us not to answer their spurious personal attacks. Maybe it is time that we stand more aggressively for what we believe. Maybe we should be louder than we have been. One more suggestion and I will be done. Some of us have felt the need to deal with these issues in a more organized fashion. We have talked about this for years. In the last few days we have decided to do something. On July 2, Dr. Mickey Carter, Dr. Steven Zeinner and I met in Batesville, Indiana. We agreed to start the William Carey Bible Society. Our purpose is to promote world evangelism by encouraging and endorsing Received Text Bibles. William Carey, the father of modern missions, was taken as an example because of his successful devotion to both missions and Bible translations. We are joined in this project by Dr. Rex Cobb, Dr. Dan Haifley, Dr. H. D. Williams, Dr. D. A. Waite and Dr. Humberto Gomez. We are just in the beginning of figuring out many things. We intend to provide a website with a list of Received Text Bibles that we can recommend. We want to promote good Received Text Bible translation projects. We will provide articles and speakers on these issues. Much more information is to come. Our cause has paid too big a price for not addressing these issues. It is time for all of us to stand for Received Text Bibles around the world, in every language, for every group of people.